FabFilter today announces the release of Timeless 2, the successor to the original Timeless delay plug-in. 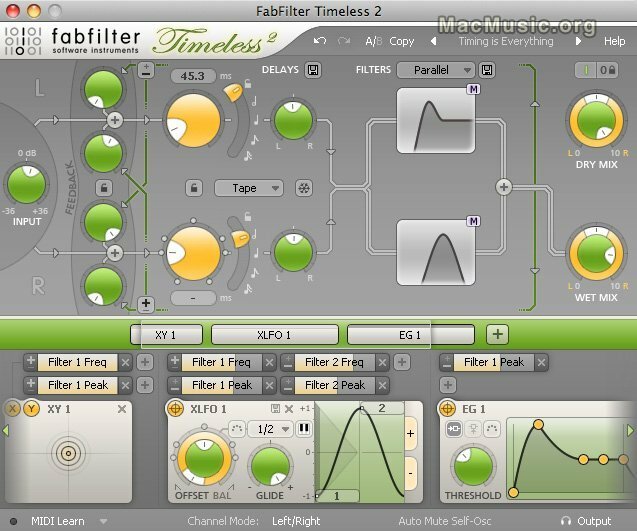 FabFilter Timeless 2 is now available for €99, $129 or £89. It can be used on Windows and Mac OS X in VST and VST 3, RTAS and Audio Units plug-in formats. Bundles with FabFilter Timeless 2 and other FabFilter plug-ins are also available.